In an interview earlier in the season, sophomore guard Michael Ertel said that he felt like there were four or five guys on the team that could be the leading scorer on any given night. So far, these words have proven to be true as the deadliest player on the court for ULM can change from game to game or even, drive to drive. This is what makes the Warhawks such a threat to the rest of the conference and why the program has such a bright future in the years to come. 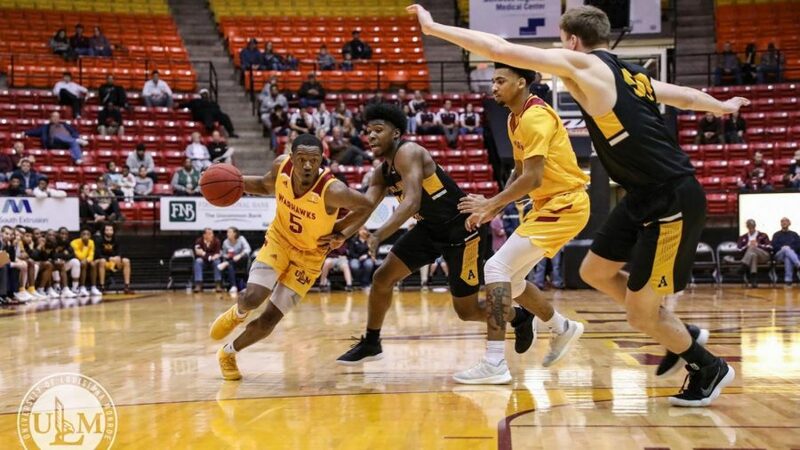 The 2018-19 men’s basketball team won their first two games of the Sun Belt Championship to advance to the quarterfinals match. 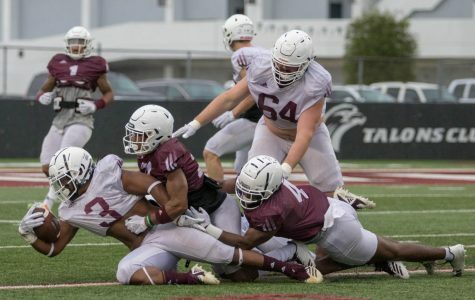 Flexing a big four and a deep bench, ULM has proven that it can contend with any opponent in the Sun Belt Conference. In fact, Georgia Southern managed to beat ULM in their first meeting of the season in a heartbreaking fashion. A buzzer-beating three was able to give the Eagles the 79-78 victory in a game that was avenged by the Warhawks a month later. Winning the second meeting of the season behind Smith’s monster 38-point performance, it was clear that ULM was the better team between the two. ULM is currently one of the best-looking teams in the tournament with leading scorers changing each night. However, statistical leading scorer Daishon Smith hasn’t led the team in scoring since it began. This hasn’t stopped anything for the Warhawks though as they were able to take down Appalachian State, 89-80, before dominating Coastal Carolina, 80-50. Munnings led the way with 21 points against Appalachian State while Ertel came through big time against Coastal Carolina with 20 points, six rebounds and seven assists. Like I said before, this is what makes the Warhawks so dangerous; they don’t rely on a single person. ULM can score from almost everywhere on the court with almost anyone. That includes the young guns of the team. With seniors Smith, Munnings, Newman and Anderson all playing in their final seasons as a Warhawk, I think their replacements are already here and hungry. In fact, junior guard JD Williams looks like he may be ready to put the team on his shoulders next. He led the team in scoring and rebounds on multiple occasions and is someone I consider part of ULM’s current big four. Following the guidance of Coach Richard and the dangerous Michael Ertel, this team has the potential to make strong runs in the Sun Belt Championship for years to come.